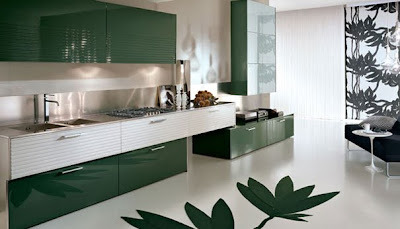 If there were an olympics for design, the Italians would surely take the kitchen category. The country has been producing cutting-edge kitchens since as far back as I can remember (and I’m old). 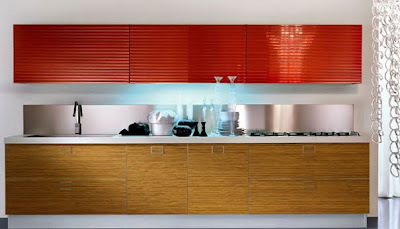 Pedini began designing modern kitchens in 1965, focusing on functionality as much as on form. 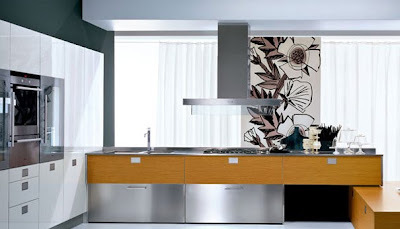 The company researches the way people use their kitchens, careful to design their cabinets as to minimize stress to the body. 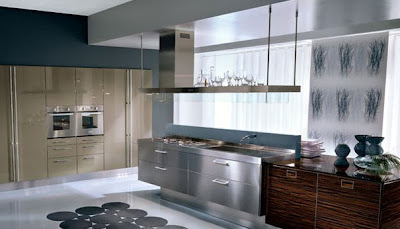 Cooking, for those of you who don’t do it, requires repeated motions—a well-designed kitchen should acknowledge this. 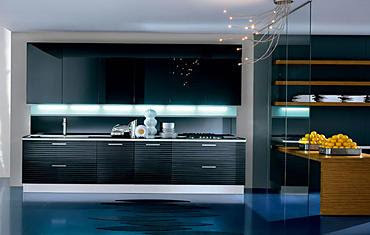 Any Pedini kitchen pays close attention to ergonmics, and they all look good doing it. All of these materials are 20 mm thick, medium-density balance panels, making them resistant to denting and warping. The finishes also resist fading, so you’ll never lose any of those brilliant colors. The strong lines of Outline are complemented well by contrasting accessories, such as the playful area rug featured on the Pedini website—a composition of circles of varying sizes that brings to mind plates and bubbles (two things one must have in the kitchen).